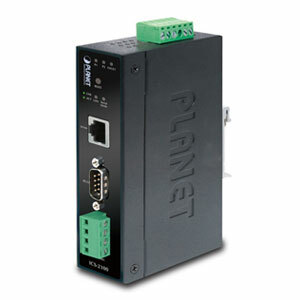 The ICS-2100 is a strong industrial grade serial to Ethernet converter with many features. Usually this type of industrial grade converter is priced much higher, however the manufacturer of this converter has managed to make a surprisingly good and reliable industrial converter with many functions and features and at the same time keep the price at a reasonable level. This serial to Ethernet converter has one RS232 port, and one RS485 / RS422 port which will work with baud rates of up to 921600bps. It will allow you to connect any standard RS232, RS485 or RS422 serial device to your computer over a standard Ethernet network. It can also be setup to communicate in pairs between two serial devices. 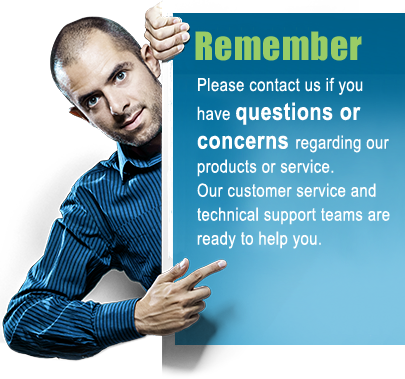 The included Virtual COM port software is Windows based and will work with all recent versions of Windows. As with any true industrial grade device this converter has two individual inputs for two separate power sources. In case one of the power supplys fails the converter will automatically switch to the alternative power source and an alarm can be set to alert the user that the power supply has failed. The alarm not only detects if he power supplies fails but can also detect and alert the user if the port link fails, in which case an email can be sent to a specified email address. The parameters of this converter can be configured remotely via any standard web-browser or telnet. Using a web-browser for configuring the converter is fast and easy and can easily be done remotely from any computer and even over the Internet. This serial to Ethernet converter's enclosure is made of metal and is rated IP30. It can be mounted on any standard DIN rail with the built-in DIN clip on the back of the enclosure; alternatively it can be screw-mounted with the included screw mounts. Since this converter is intended mainly for commercial and industrial environments it is effectively protected against most electromagnetic interference, voltage surges and voltage spikes. The EFT (Electrical Fast Transient) protection for the power line is 6000VDC and ESD (Electrostatic discharge) protection for the data lines is also up to 6000VDC which effectively protects your equipment and the converter itself against damage. An operating temperature of -10 to 60 degrees Celsius will allow you to use this converter in most environments. The importance of regulatory compliance and standards cannot be underestimated. This converter is in compliance with FCC, CE, RoHS, IEEE 802.3 and also stability tests IEC60068 which ensures that this unit will work reliable within the specified documentation. Memory Microchip SST39VF040 with 5124K x8CMOS Multi-Purpose Flash including SST proprietary and high performance CMOS SuperFlash technology.